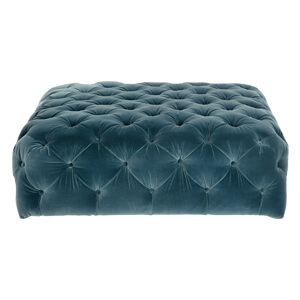 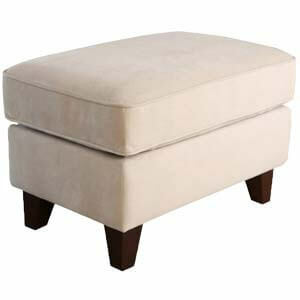 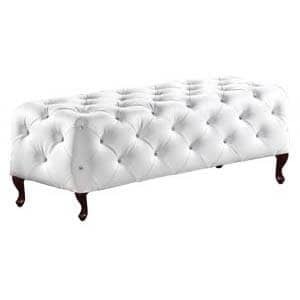 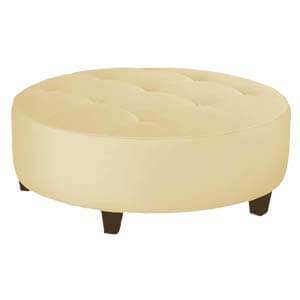 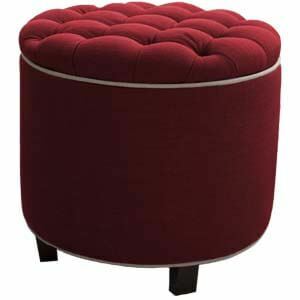 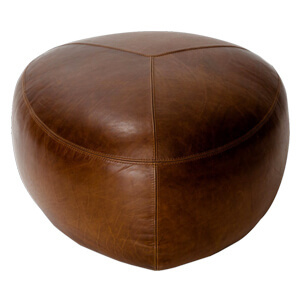 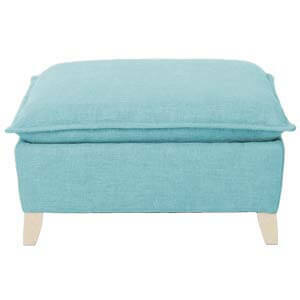 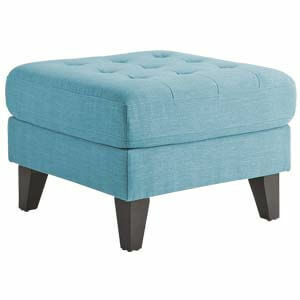 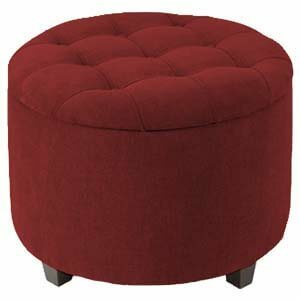 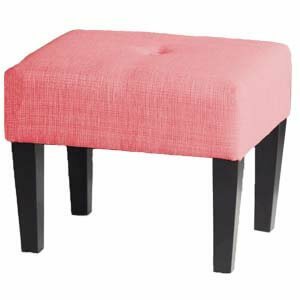 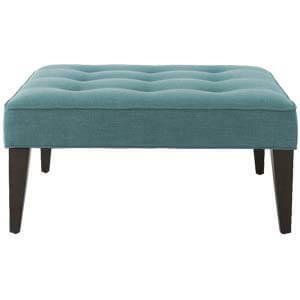 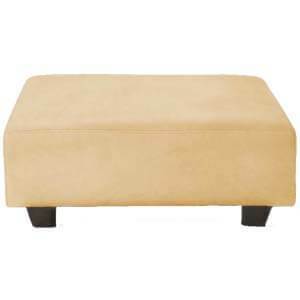 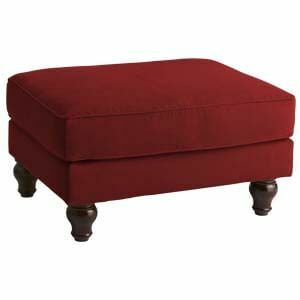 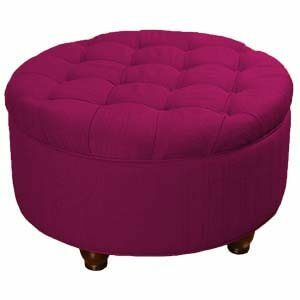 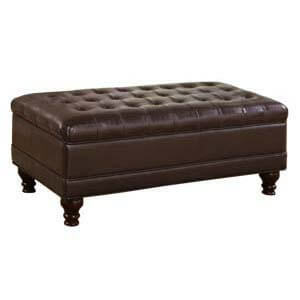 Transitional styled, this is a beautiful bench rectangular ottoman having subtle side tufts. 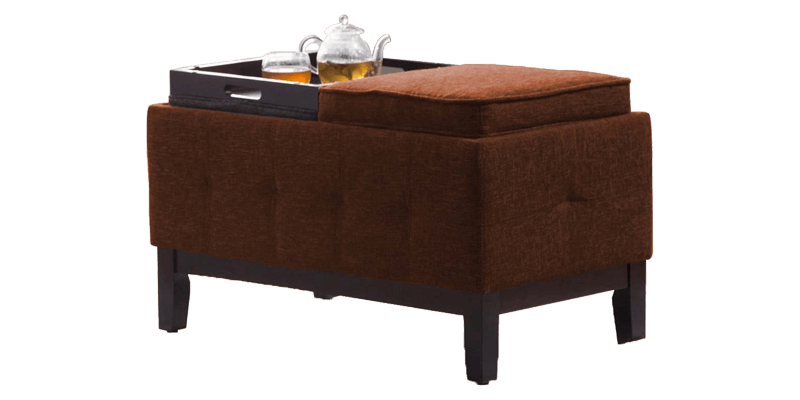 Upholstered, it has piped edges with flip cushions that reveal storage tray tables. 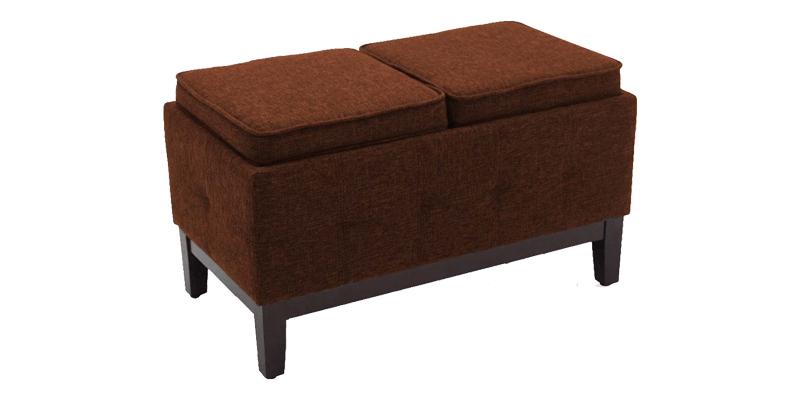 Completely handmade, it has an additional storage areas and angular legs for a composite sturdy feel.